Whether or not Exascale will be reached by 2020 [our theoretical milestone] is still uncertain. I think there will be very few, if any, implementations that are Exascale by 2020 and there is still a long way to go if you think that the whole of the Top500 supercomputers (November 2013) combined together currently operates at only a quarter of an Exaflop. It seems to me that power will be a key challenge. Scaling up the current number one Supercomputer, China's Tianhe-2, to Exascale would require a dedicated power station! 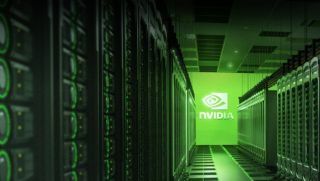 With almost insurmountable energy and cooling challenges, many will choose to avoid owning and housing their own Exascale computing facility and look to the "cloud" and on-demand services provided by much larger international suppliers. There will be lots of other challenges for building Exascale facilities too. It would require an entirely different approach to architecting clusters. In turn, efficiently managing and scheduling on top of these complex infrastructures will become tricky - this is before we even consider how to supply sufficient scratch storage performance and capacity to keep up with such a system! Finally, even if the power and hardware were available to build an Exascale system today, most applications wouldn't be capable of scaling up to a system of this size. Although this limitation wouldn't be as significant on a general purpose 'service' cluster (or cloud service) running smaller jobs for many different users. Despite the challenges, the race to Exascale is important. Supercomputing development is a bit like a comet, there is an element at the front driving it forward going where no man has gone before, leaving behind a trail of benefits that can help with the present. So as a result of all that trailblazing, we can now quite easily remodel how wind reacts on a car and how airplane engines will behave in particular scenarios and so on. The push in the future will be towards Exascale supercomputing machines, but no-one is quite sure when. One thing for sure is that people will always want to look at problems they can't currently look at, involving capability and not capacity. It is the problem they can't solve at the moment with capacity alone that will drive the need for Exascale supercomputing going forward. Julian Fielden is managing director of OCF plc, providers of HPC, data management, data storage and data analytics. Drawing on twenty-years of business and accounting experience, Julian is responsible for the strategic direction of the business and its day-to-day operations.